The Professional Regulation Commission (PRC) announces the cancellation of Baguio City as testing venue. Baguio City, March 15, 2017 – The Professional Regulation Commission (PRC) announces the cancellation of Baguio City as testing venue for the March 18 and 19, 2017 Licensure Examination of Mechanical Engineers and Certified Plant Mechanics due to the low turnout of applicants. Concerned examinees are advised to take the examination in Manila and make proper coordination regarding this cancellation with PRC Baguio. The September 2017 Licensure Examination for Mechanical Engineers and Certified Plant Mechanics will proceed as scheduled in the cities of Manila, Baguio, Cagayan de Oro, Cebu, Davao and Lucena. Manila, October 6, 2016 - The Professional Regulation Commission (PRC) is awarded with a Certificate of Registration to ISO 9001:2008 last August 22, 2016 by the Certification International Philippines Inc., for compliance to Quality Management System (QMS) for Licensing of Professionals and Regulating Professions. The Certification has a 3-year validity period which will require PRC Quality Management System to successfully complete a transition Audit to ISO 9001:2015. 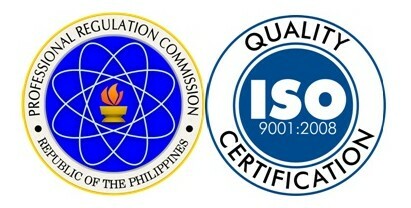 This certification proves PRC’s commitment to serve the Filipino nation and the whole community is strong and steadfast. To ensure that the QMS is properly implemented, an annual Surveillance Audit until 2019 will be conducted by the Certification International Philippines Incorporated. The awarding of ISO 9001:2008 Certificate will be held during the 5th Professional Summit on October 27, 2016 at Manila Hotel.